Twenty years after leaving Québec to travel around the world, author Guy Delisle (Pyongyang: A Journey in North Korea, Jerusalem: Chronicles from the Holy City) spent a month in his hometown in July 2012. He took some time off from working on his other projects to walk around the city and draw a few sketches. 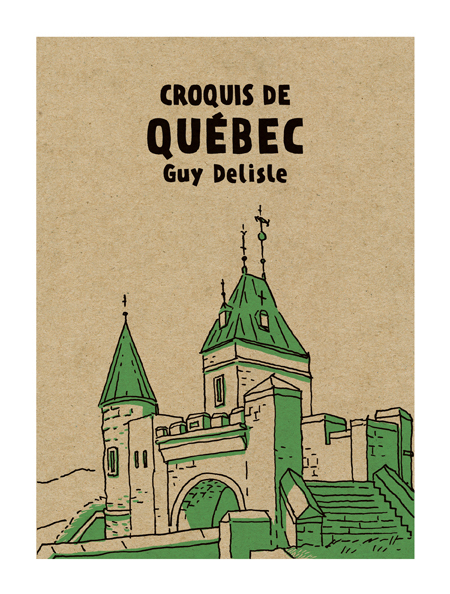 Croquis de Québec collects these sketches — offering the reader the chance to discover or rediscover Québec City through the eyes of this remarkable artist.